Are you looking for a reliable, fully licensed and cost effective waste removal and rubbish clearance company servicing Upminster RM14 and the surrounding area? Away With It has all the tools you need to get the job done. Over the years, our Upminster RM14 waste removal and rubbish collection service has built up a reputation for being fast, professional and affordable. With an extensive portfolio, covering everything from small domestic clearances right up to contractual commercial waste collection, you can be sure we have the tools to cater for your specific waste removal needs. A same-day service that operates 7 days a week. Long operating hours – we operate from 7am-11:30pm 7 days a week, booking in two hour slots so you’re never left waiting around for us. A fully licensed and regulated service, so you can be sure that everything we collect will be properly disposed of. An ethical service, with 80% of all the waste we collect being either reused or recycled. A transparent and failsafe payment system – we will give you a comprehensive no-obligation estimate before we arrive on site, and as you only pay for the space you fill in our vehicle you won’t be stung by any hidden charges. In addition to this, our uniformed two-man teams will sweep, vacuum and generally tidy up every property before they leave. Every property should be left spotless and shipshape, and we won’t leave until you’re satisfied we’ve got the job done. Talk to us today about our fast and reliable waste removal services in Upminster RM14! Upminster, a suburban area of East London, first appears in the Domesday book of 1086 as Upmunstra – meaning the large church on high ground. Although there was an ancient farmstead in the area from about the 1st century AD, it was largely wooded up until the 12th century until much of the woodland was cleared, and by the 17th century there was a large variety of livestock and crops. The arrival of the railway in 1885 gave the area a high-speed connection with London, and as a result light industry boomed. Industries like tanning, gravel extraction and brick making boomed, with the brickworks connected to the railway station via a tramway. Around this time, urban development really began to boom, with the building of the railway station at least partially responsible. Gas supplies from Romford were introduced in 1872, and electricity was introduced in 1926. 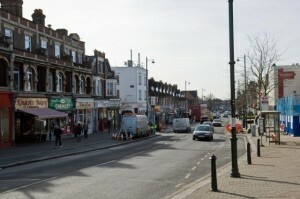 Famously, Upminster was the location where the Reverend William Derham first accurately calculated the speed of sound. Probably the most notable person associated with Upminster is musician Ian Dury, whose 1981 album Lord Upminster took its name from the town. On top of this, singer Frankie Bridge of The Saturdays, actor William Abney and television personality Shaun Wallace hail from the area. http://www.angelawatkinsonmp.com/ – Dame Angela Watkinson DBE, your local Member of Parliament. http://www.romfordrecorder.co.uk/home – Local newspaper, covering news and current affairs in Upminster and the surrounding area.